There is really a lot of hype surrounding the use of bamboo pillows. 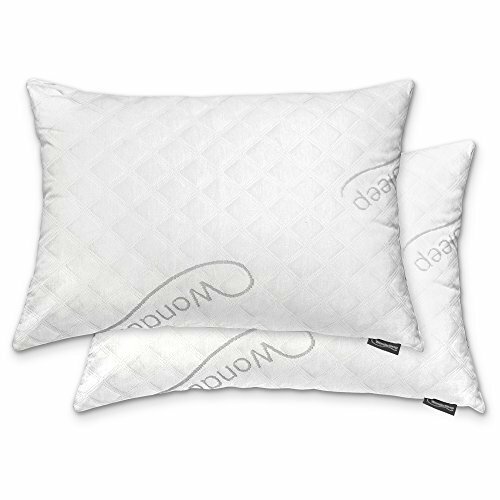 Whether they are really effective or not regarding making you sleep better, once you ultimately decide that you are going to get one, you should get the best bamboo pillows. What makes for a good bamboo pillow? The first one is the number of bamboo fibers that are in the pillow as it will lead to knowing if there are enough antimicrobial properties in the pillow. The second one is how much the pillow absorbs moisture. Lastly, you should look for the overall quality and design of the pillow. With those factors in mind, let us take a look at three bamboo pillows. Do read until the end as we will tell you which bamboo pillow is worth your money. We are going to discuss the features and the corresponding pros and cons of using each of the bamboo pillows we have chosen. Let us start the search for the best bamboo pillows with a set that comes with two pillows. When it comes to the cover of this pillow, it is made of 40% viscose rayon and 60% polyester, making it exceptionally breathable. As for the pillow itself, it is made of shredded 100% memory foam. The use of memory foam can help with supporting your head, neck, and shoulders, as well as enhancing sleep and helping relieve pain. What is better is that the fill can be reduced by removing some of the foam or you can add to it by fluffing or redistributing the fillings. Doing so will give you a personalized pillow that fits your desired comfort level of sleep. 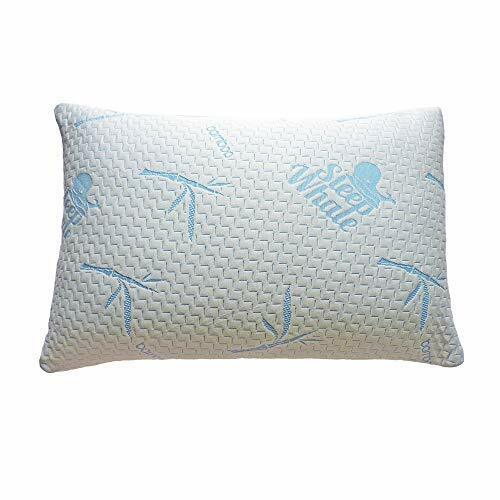 More than that, it is also hypoallergenic and resistant to dust mites, so for those who have a lot of allergies, this pillow can really be beneficial. Additionally, its covers have dual layers. This means that the inner layer is also made of microfiber, which helps keep the foam from spilling out, while the outer layer helps with cooling. Lastly, it is safe to be washed in a washing machine. The seams may easily come undone. Moving on to the next bamboo pillow, this one actually claims that you will be sleeping like you are on clouds. Will its features support this big claim? First off, this brand really takes pride in what they have to offer because according to them, they already perfected the creation of pillow due to countless product testing and feedback. As for the cover, it was designed to be hypoallergenic and was stitched in such a way that it can support your way of sleeping. As for the inner cover, they already replaced their old one which was stiffer. Now, what they have is a bit more stretchable, and it also has a zipper for easy adjustment. Moving on to the inside of the pillow, it contains shredded memory foam which has varying shapes and sizes. This aspect also adds to the comfortability of the pillow. Also, the pillow can be easily adjusted based on the shape that is most comfortable for you. It can be adjusted to your preferred sleeping position, or you can mold it into a specific shape. Accordingly, you can also remove the fillings. Speaking of fillings, this pillow was specifically filled to be more supportive and firm. In order to make it softer, you can simply open the zipper and remove some foam. 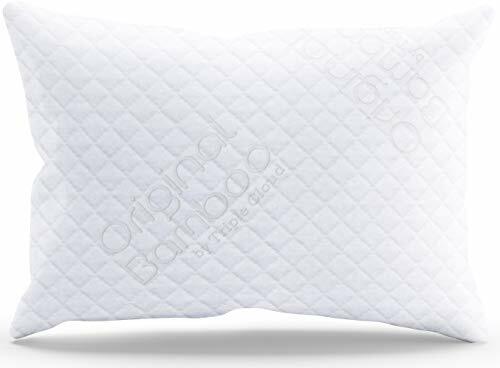 The last bamboo pillow that we are going to discuss is almost like the first one that we reviewed. This pillow is made of 60% polyester and 40% bamboo. Clearly, this combination can make for a comfortable and restful sleep. Moving on to the fillings, it is filled with shredded memory foam that can be adjusted. This means that the shape of the pillow can change based on how you fluff it or if you remove some of the fillings. Shredded memory foam is also great in supporting your head, neck, and shoulders. Not to mention that it makes the pillow so soft. When it comes to the cover, it is dust mite resistant and hypoallergenic. Therefore, it is also resistant to bacteria and mold, so you can use the pillow for a long time. It is also safe to be washed in the washing machine and dried in the dryer. Lastly, it was designed for proper air circulation so that your head is kept cool even if there is already moisture. This will ensure you that your sleep will not be interrupted due to the sudden drop of temperature. The best one is none other than the Sleep Whale Shredded Memory Foam Pillow. This is the bamboo pillow to beat because it has all the three major factors that we discussed at the beginning. It has a good amount of bamboo fibers, it does not have moisture build-up, and it has a nice shape. The fact that it is hard to get it back in its default shape is a sign that this pillow will mimic your most comfortable sleeping position. Definitely, this bamboo pillow is well balanced and can easily adapt to the needs of the user.